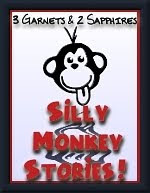 3 Garnets & 2 Sapphires: Silly Monkey Stories: Where's Sitting Bull? Silly Monkey Stories: Where's Sitting Bull? If you have read Silly Monkey Stories throughout the past two years, then you know why we have nicknamed our only daughter "Sitting Bull." She has a tendency to have a stoic expression on her face when she does not approve of what is happening, like trying to take a photo of her when she is not in the mood. The photos below were a delightful exception. Usually my husband has to make faces and act as silly as possible to draw a smile out of her. This was not the case on this monumental day. Our daughter was all smiles and let her personality come out without much coaxing at all. I took about 30 photos of her that day and I kept the majority of them.